Trans-fatty acids are unsaturated fatty acids with at least one double bond in trans configuration. 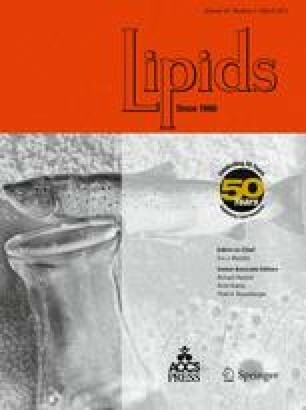 While their role in the development of coronary heart disease is broadly accepted, a potential impact of these fatty acids on colon carcinogenesis is still under discussion. MiRNAs are small non-coding RNAs that regulate the gene expression at a post-transcriptional level by inhibiting the translation of target mRNAs. We investigated the effect of 16 different C 18 fatty acid isomers on the expression of 84 cancer-related miRNAs in the human colorectal adenocarcinoma cell line Caco-2 by using a qRT-PCR array. 66 of these 84 miRNAs were deregulated by at least one fatty acid, however, there was no trans-specific impact on miRNA expression as the corresponding cis isomer of a given fatty acid generally had comparable effects on the miRNA expression profile. The most pronounced effects were observed for hsa-miR-146a-5p, which was upregulated by four of the 16 investigated fatty acids, and hsa-miR-32-5p, which was strongly downregulated by five fatty acids. As hsa-miR-32-5p was described to target genes being involved in the regulation of apoptosis, the effect of α-eleostearic acid on the expression of the apoptosis-associated genes BCL2L11, BCL-2, and BCL-XL was examined. The qPCR results indicate that fatty acid-mediated downregulation of hsa-miR-32-5p is accompanied by a downregulation of BCL-2 and BCL2L11 mRNA whereas BCL-XL was shown to be simultaneously upregulated. In conclusion, our data indicate that several fatty acids are able to regulate miRNA expression of human colon cancer cells. However, no trans-specific regulation was observed. S. K. has received a Grant from the Arthur and Aenne Feindt Foundation. We thank Gunnar Quer for technical assistance. This work was funded by the Federal Institute for Risk Assessment (Project no. 1322-474).